I have a couple of quick swatches to share with you today. 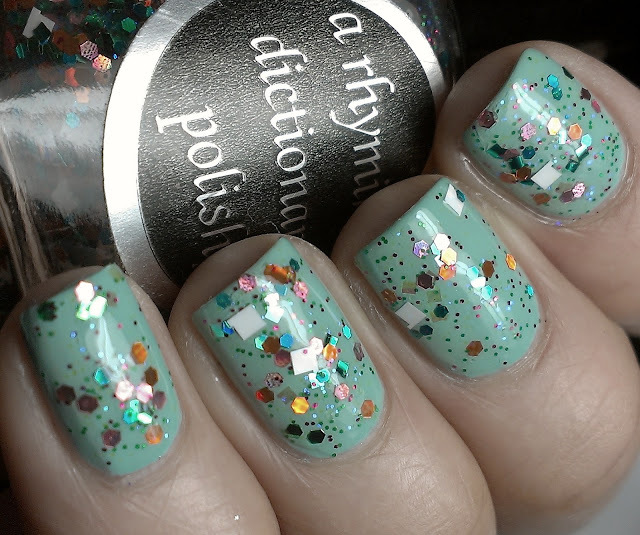 These 2 polishes were created by the talented Morgan over at A Rhyming Dictionary Polish! 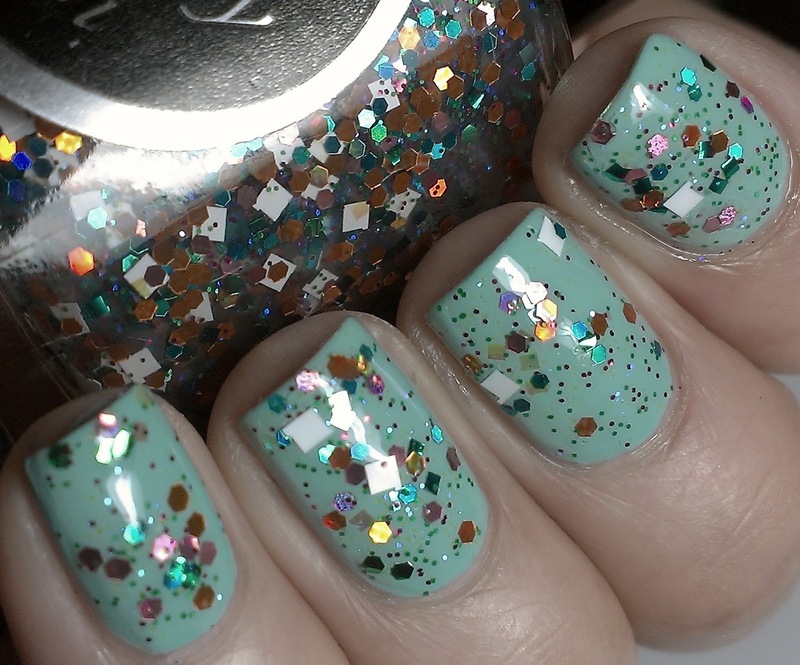 This is 2 coats over Forever 21 Love & Beauty Mint, which is absolutely gorgeous! 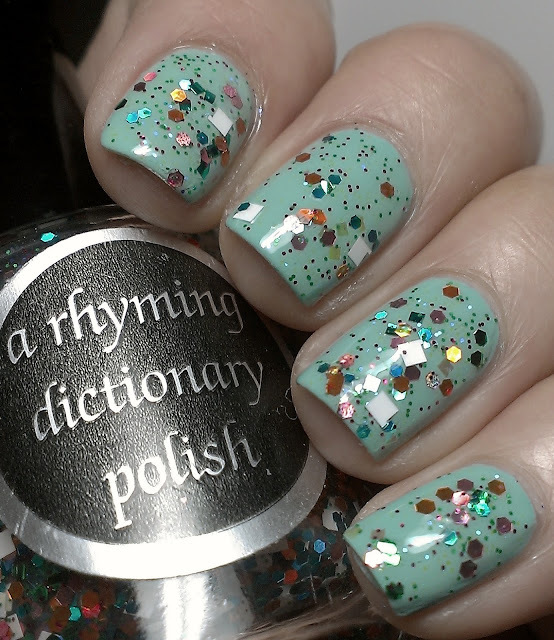 You can check out more A Rhyming Dictionary Swatches HERE! You can also visit her Facebook page HERE for updates!!!! Morgan rules! 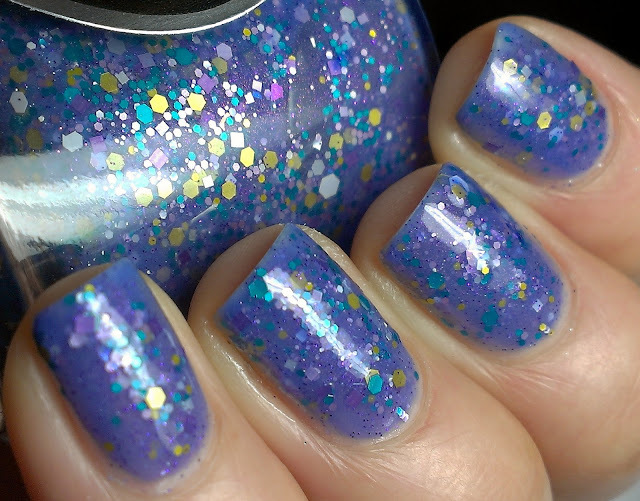 Grape Jam looks awesome on you! oh you're right the white squares in the 1st polish are lovely! 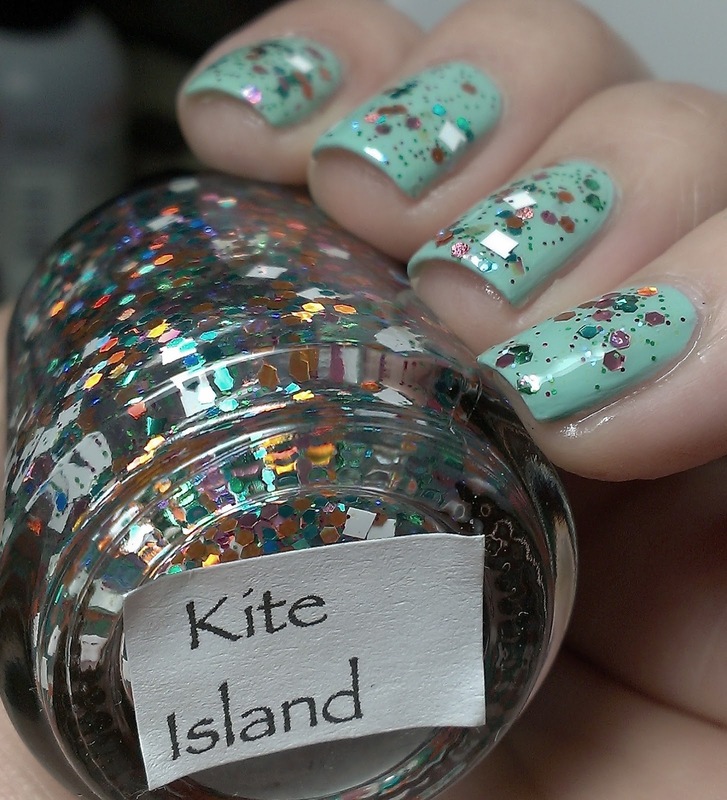 Both are gorgeous, and I really love the first layering combo! Ohh I like both of these quite a lot! Ohhhh, I really LOVE both! Grape Jelly is so cool, really pretty!